The YMCA of Southwest Michigan’s Annual Campaign seeks funding from individuals, corporations, and foundations to provide impactful membership and programming activities that are accessible to all, regardless of one’s socioeconomic status. The Y provides $140,289 in financial assistance in 2018, allowing us to serve more than 12,000 individuals annually through membership and community outreach programs. 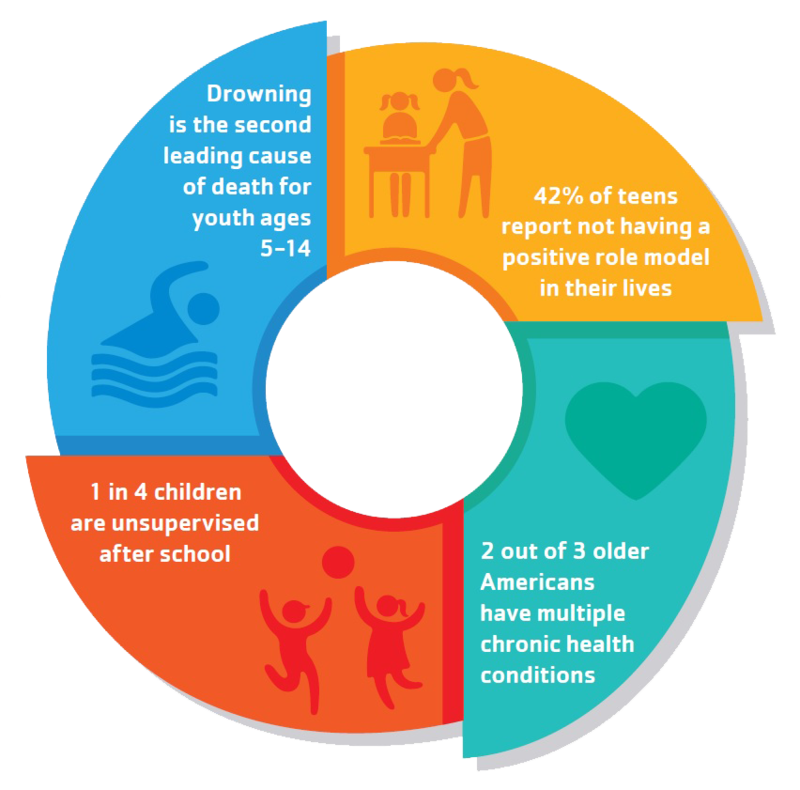 Swim team and swimming lessons, plus community outreach programs, develop essential skills for a lifetime of safety, confidence, and physical activity around water. Summer day camp and Y-Club childcare provide students with safe places to learn, grow, and belong. Youth surrounded by positivity are less likely to engage in risky behaviors. YMCA Diabetes Prevention Program, LIVESTRONG® at the YMCA, and Enhance Fitness help us address chronic disease and lead to improved health outcomes through education and exercise. Your support of the Y’s Annual Campaign makes it possible for everyone in our community to become healthier in spirit, mind, and body!